There is something so spectacular and awe-inspiring about a beautiful sunset, but what is even better is seeing this magical display light up the skies of Cambodia. 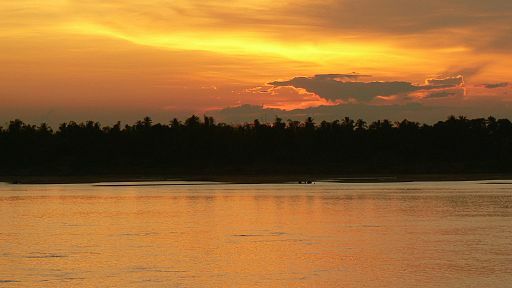 Taking time out in the evening to watch the sunset is a must if you are visiting on one of our many Cambodia tours. Below are just some of the locations in the country where you can feast your eyes on magnificent and colourful sunsets. 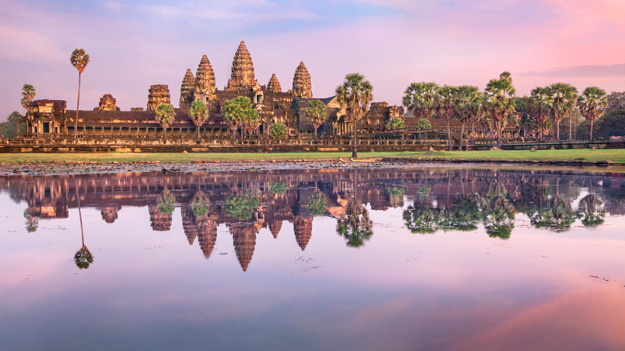 As one of the most visited locations in Cambodia by tourists and locals alike, Angkor Wat is not only a perfect setting to explore Cambodian history and culture, but also to see one of the best sunsets in the country. The place to stand to watch the sunset is across from the north lotus pond with the monument of Angkor Wat standing proudly in the foreground. Here the reflection on the water will expand the sunset to the tips of your toes, giving you a wider vision of the glorious sky above. Phnom Penh is the capital city of Cambodia and although mid to high-rise buildings scatter the backdrop in the bustling city, this doesn’t mean that you won’t be able to enjoy the view of the Cambodian sunset. The light twinkles through the alleyways and gaps between the buildings if you are at ground level, but if you make your way to The Fifth Element restaurant and bar located on the rooftop of La Maison D’Ambre Hotel, you will be in for a treat. 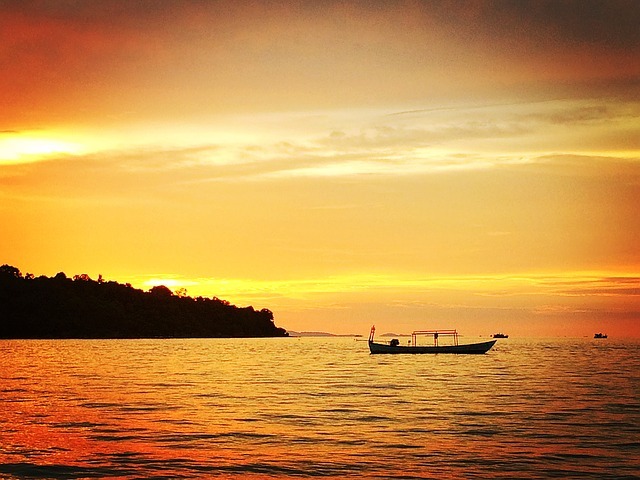 Not only will you experience the delectable food and drinks, but also a sunset to die for. “Most visitors to Cambodia understandably make a beeline for the spectacular temples at Angkor and, whilst this is one of the most amazing sights in the world, my favourite place in Cambodia was the sleepy, underrated riverside town of Kampot. 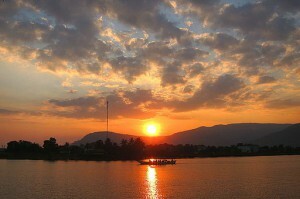 If you want to experience the unique culture and beauty of Kampot, then take a look at the Around Cambodia tour which will delve into the fascinating heritage of the town and other breathtaking destinations to watch the sunset in Cambodia. 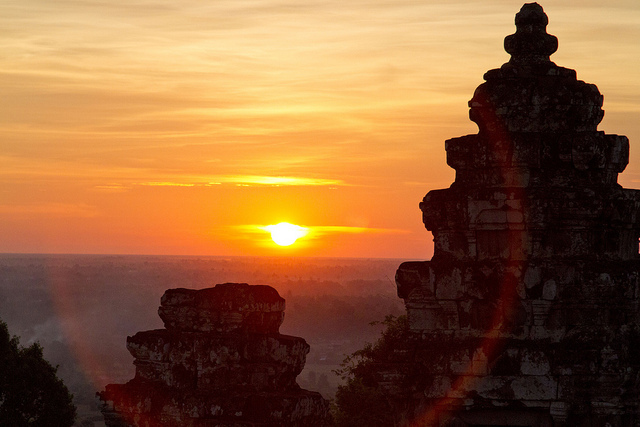 Situated in the north of Cambodia, Phnom Bakheng is a truly spectacular location to visit if you want to see one of the best sunsets in the world. Phnom Bakheng is an ancient Hindu and Buddhist temple, but what makes Phnom Bakheng so special is the view on the horizon when you step out to watch the sunset. Below, at 1.3km to the southeast you will be able to see the temple of Angkor Wat in the distance covered in the golden glow of the Cambodian sun. Phnom Krom hill, although very rocky and steep, will greet you with a gorgeous sunset and backdrop once you get to the top. 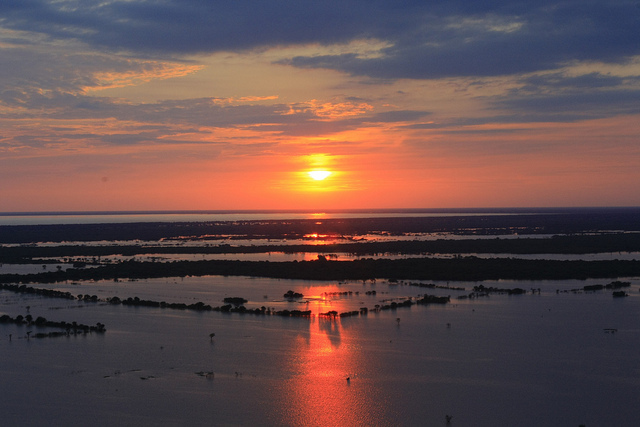 Situated 12 kilometres southwest of Siem Reap town and overlooking Tonle Sap Lake, it is definitely worth the journey. If you wish to visit the summit of Phnom Krom it is worth nothing that you will need an Angkor pass as the guards won’t allow you to enter without one. And, if you can, take a car ride to the top as it is a very hot journey on foot! It is always interesting to know the science behind a sunset so you can appreciate it even more. “The two main molecules in air, oxygen and nitrogen, are very small compared to the wavelengths of the incoming sunlight—about a thousand times smaller. That means that they preferentially scatter the shortest wavelengths, which are the blues and purples. Basically, that’s why the daytime sky is blue. The daytime sky would actually look purple to humans were it not for the fact that the sensitivity of our eyes peaks in the middle [green] part of the spectrum—that is, closer to blue than to purple. Book an escorted tour of Cambodia with the UK’s leading Asia Experts, Wendy Wu Tours. 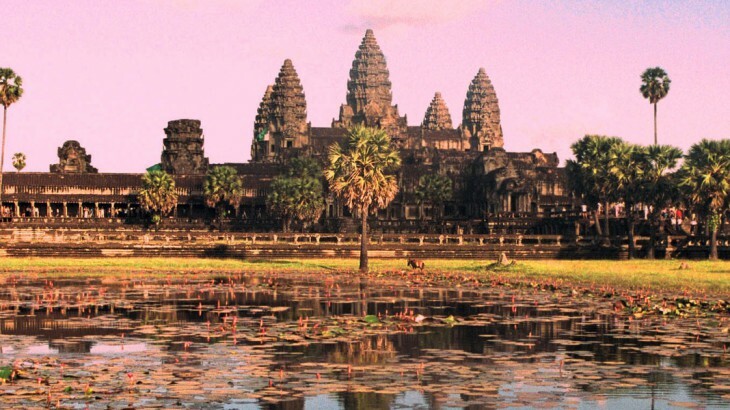 Our award winning tours visit all the major sights of Cambodia for an unforgettable holiday. Cambodia nature, sightseeing, views. permalink.